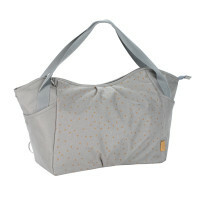 Everything in twin pack: The practical, spacious and sustainable Twin Diaper Bag offers sufficient space for all the extra storage you might need. 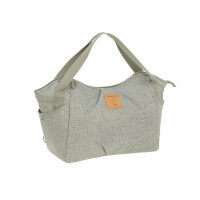 Product information "Twin Diaper Bag, Bouclé beige"
description & equipment Everything in double pack in the fashionable bouclé look: The practical, spacious and sustainable Twins Diaper Bag offers sufficient space for all the extra storage you might need. 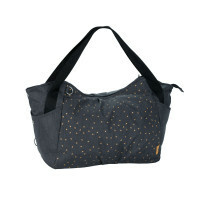 The bag’s outer material is 89% recycled polyester Cyclepet® which is made from recycled plastic bottles. The Twins Diaper Bag comes with an extra large water-repellent changing mat, a removable food jar holder, a water-repellent wet compartment as well as other compartments and pouches for a cell phone, keys and pens. It also includes a pacifier pouch for two and the insulated removable bottle holder in XXL format is also designed for twins Thanks to the integrated additional backpack function mothers always have their hands free for their little ones. The shoulder strap only needs to be threaded into the snap hook provided and secured and then the bag can already be worn as a backpack. There is a mounting extension for the stroller so that you can relieve your back again at any time.